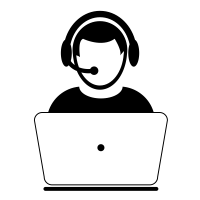 Technical Support and Maintenance – BetaSys For Information Technology. Betasys provides the best technical support services for all customers; customers’ trust is our major objective and is considered as the basis of developing and improving our products; we believe that our customers’ success in managing their business using Betasys systems and programs is the real sign of our success. The systems are installed in the specified location after receiving a note from the customer ensuring that all installation technical requirements have been finished. Training of the customers and/or their employees, Who will be in charge of Betasys systems at the company head office premises. A password is given to the “Admin” user in charge of the system; and he is trained to assign authorities according to the duties of each user. Free installation and operation of sale points (printers, balances and barcodes) attached to the system, if bought from Betasys. – the system supports “back-up” copies; so the customer will have to save daily back-up copies; if not , and the data base is damaged , Betasys will not be held in charge. Free maintenance does not include the re-installation and license of the system once the computer has had a problem with its operation system as a result of viruses, power, or moving the devise to another location; so, keeping the computer safe is a must; otherwise the customer will have to pay for installing, operating and license. Free maintenance does not include sale points such as balances or printers. Free maintenance does not include extra work by technicians in holidays/vacations; the customer will have to pay for this. Once the customer has got frequent problems, as a result of inputting mistakes, he will be informed to attend training programs. All the above mentioned tasks are carried out by a highly qualified team of engineers and technicians, with great deal of experience and skill, and for all our customers in the different provinces of Yemen.